One of the tastiest and most consistent budget-priced brands in our humidor, Quorum shade is a bundled cigar from the esteemed J.C. Newman cigar company. Handmade in Nicaragua, Quorum boasts rich flavor and a beautiful burn at an excellent, affordable price. Try Quorum today and see for yourself why they're the best-selling bundled cigar in the world.Quorum Churchill Shade is a medium bodied smoke with woody, nutty, and naturally sweet flavor in a traditional 7x48 Churchill size. I have tried many cigars over the years and this is the best overall value I have found. It's been several years and I have never had a bad Quorum cigar. A decent cigar for the golf course. Little lightly rolled. Shade's are my favorite cigar right now and I believe these ones are long enough to to cut in half and have two cigars if you don't have enough time to smoke the whole thing. 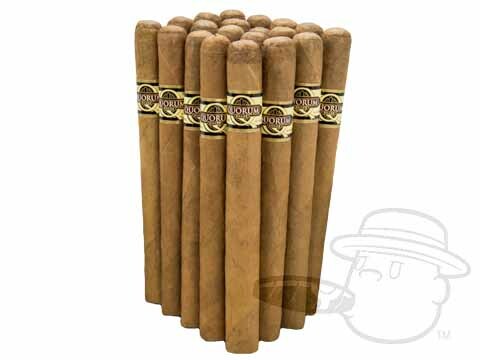 Cigars are a quality cigar with a nice smooth flavor. Smooth burning as well!! Price is right compared to other's selling the same product. Mild to medium, quick burning, good for times you need to go somewhere soon. Good smoke for the price. very good. switched from churchill 2nds. Quorum continue to be a decent everyday smoke that is still affordable. You can't beat these for the price. They taste smooth & burn evenly. You will not be disappointed. Fast shipping too. I've been buying these for years. Good value smoke, but the last bundle (3/2018) was not up to the usual standard, with a thinner wrapper that flaked off. I'm putting this down to a poor batch, because in general these are a good cigar for the price. I have been smoking the Quorum Churchill for some time. When smoked slow it is a mild satisfying cigar. If you smoke it fast it tends to have a bit of a bite about 2/3 down. All 5's on my Baccarat Purchase. I smoke them on my patio with a good bourbon. Very nice breakfast cigars — especially for the price. Quorum Churchill Shade is rated 4 out of 5 based on 25 customer ratings.